” Stealth Computers ” is a company that specializes in high performance small factor personal computers and others. They have also a full waterproof , funless computer system which i find perfect for outdoor Digital Signage Systems and Led Walls. Here is a video of this thing in action.. So you don’t understand Russian…Don’t worry,neither do i. Do you remember urbanscreen ? Here is another urbanscreen-like video somewhere in Russia . I don’t know exactly where it is, i don’t know when it is and i don’t know for sure who made it . If someone understands this let us know!! A new smart venting machine was installed in Shinagawa Station and it seems that it attracts TV press. This machine can recommend drinks based on the appearance of customers as it haves face recognition software. High school girls think it’s cool. Some customers have trouble figuring out what part of the screen needs to be touched in order to buy a drink. When it detects a young man, it recommends a sports drink or bottled water. When it detects a woman, it recommends tea or bottled water. It has trouble detecting faces when eyes are blocked by dark sunglasses. Manufacturer says that it planes to produce 500 more touch panel machines within the next 2 years. In connection with the deregulation of the pharmacy monopoly in Sweden, ZetaDisplay is the first to equip an independent chain of pharmacies with the company’s Digital Signage media platform. 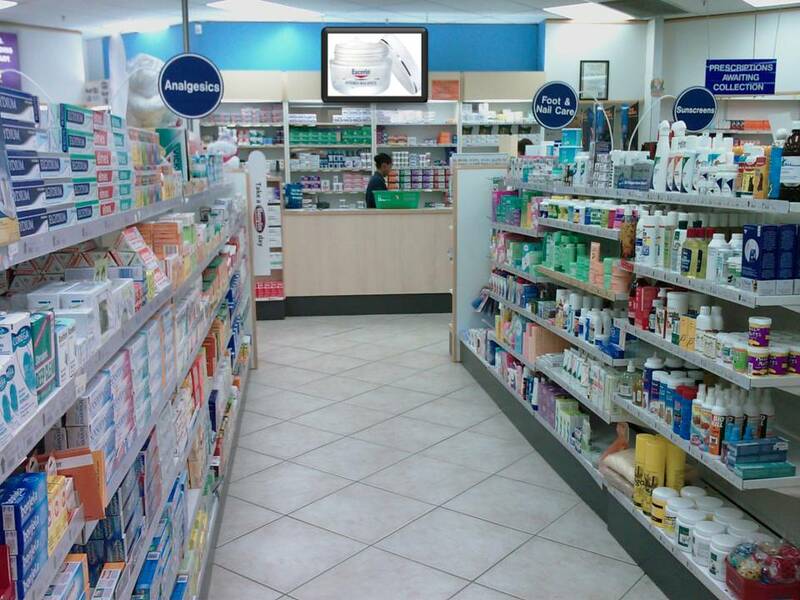 This independent chain of pharmacies expects to open 100 pharmacies within two years. Installation has already started. ZetaDisplay estimates that sales will reach SEK 6 million. BlueFox, content provider for almost 37,000 digital screens in Europe and the Middle East, is entering the U.S. market, setting up offices in Los Angeles and Miami under the guidance of Adam Urban as managing director. Based in Rennes France, BlueFox is well known for its development of quality content geared specifically to various target markets. It is also a well regarded member of OVAB Europe.